This volume, originally published in 1998, edited by Paul A. 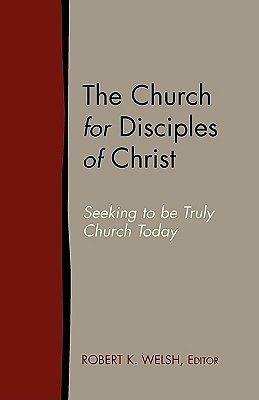 Crow, Jr. and James O. Duke, includes the report of the Commission on Theology of the Council on Christian Unity that seeks to answer the most basic and all-embracing question facing the Christian Church (Disciples of Christ) today: "What do Disciples think it means to be church?" The beauty of "church" as experienced among the Disciples of Christ is that doing theology is not the domain solely of a "theology commission" but involves the whole church in all its expressions. That is why the reissue of this small volume becomes important to encourage all Disciples, clergy and laity alike, to wrestle with the basic questions raised in the Commission's report.